An Aries man and an Aries woman are said to be one of the most compatible pairs. Since they both are born in the same date bracket, they have many qualities which are common to both of them. Also, Aries is the first sign of the Zodiac and is supposed to be fire sign. People belonging to fire group are very impulsive in nature. They also tend to be very frank and short-tempered. Both the individuals are playful, extroverts, spontaneous and undemanding. An Aries woman is attracted to the independent spirit an Aries man carries. She finds him to be more like her. Also, she likes to be chased and the man is always happy to do everything for her. Thus, there are high chances of the relationship lasting long. Both the individuals are equally active and thus, monotony is omitted from their life. They enjoy each others company since both like exploring new things and places. They both are zealous and can make a great couple. Both the individuals can understand each other well. They can give each other the required freedom. Though they are supposed to be one of the most like-minded pairs, they may have common qualities which will not complement each other and lead to ego clashes. 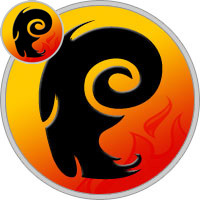 Both, Aries man and Aries woman are extremely irritable and power-hungry. Small issues would lead to huge arguments. It is difficult for one of them to step down to end an argument. Both are lavish spenders and so, saving money would be difficult for them as a couple. Also, both of them are selfish and impatient people. An Aries man and the woman are so busy pursuing their own desires and ambitions that they forget to think about both of them together. Thus, if both Aries man and woman control their ability to dominate each other and also control their temper, they would make a great couple.